OH, MAN. It’s been a busy few weeks. I’ve been reading textbooks and writing papers working on the Sustainable Seafood Blog Project and lamenting my inability to understand economics. And then suddenly, out of nowhere, it’s OCTOBER. WHAT?! Ridiculous. Fortunately, fall means pumpkins. And pumpkins mean pumpkin bread. 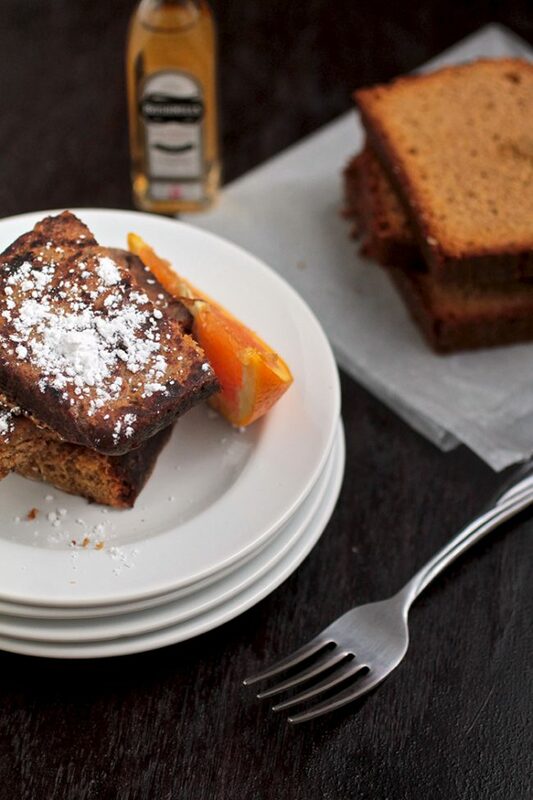 And pumpkin bread means PUMPKIN BREAD FRENCH TOAST AKA MY NEW FAVORITE THING EVER. (YES THE CAPITAL LETTERS ARE NECESSARY). But seriously. I can’t believe I never thought of this before. It’s kind of a game-changer. You should probably make it as soon as possible. Also, I added whiskey. You’re totally welcome. 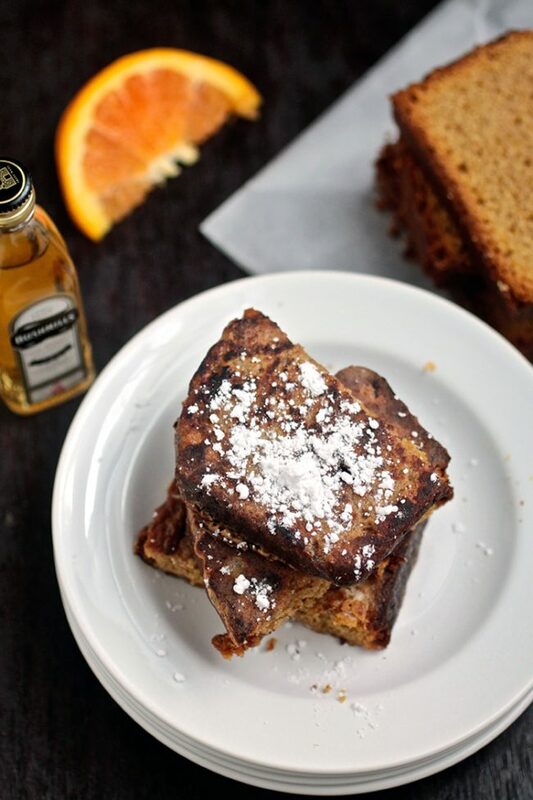 In a shallow dish, whisk together eggs, orange juice, whiskey and cinnamon. 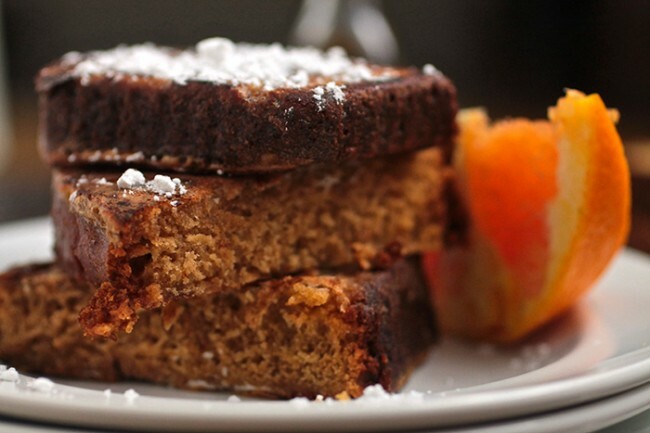 Place each piece of pumpkin bread in the egg mixture and coat thoroughly on each side. Remove coated bread slices to the hot skillet. 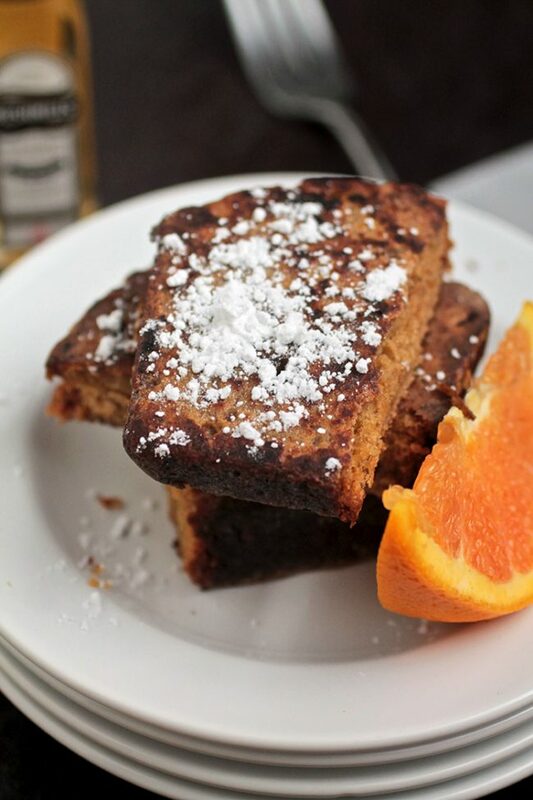 Remove french toast from skillet and top with a sprinkle of powdered sugar. Serve immediately and enjoy! Jessie:-) It was great meeting you for early Thanksgiving. 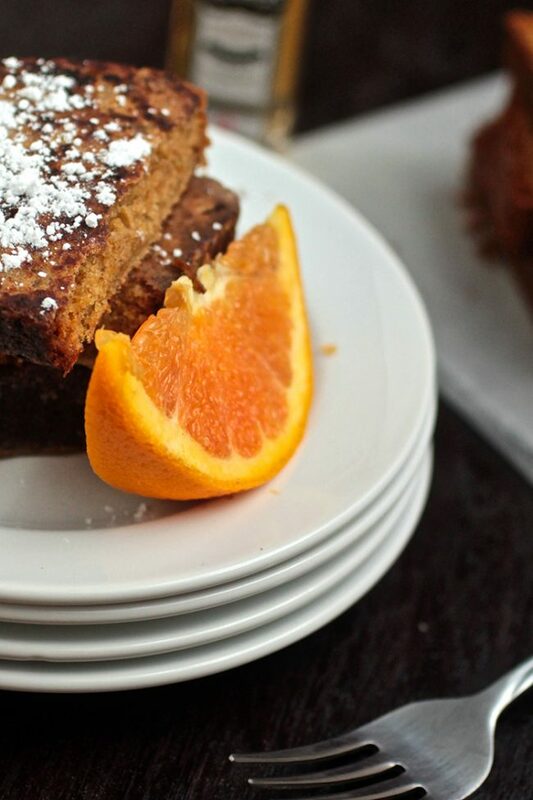 I am in the recipe “archives” and I think this Pumpkin Bread French Toast with Orange and Whiskey just might have to be Christmas morning breakfast at our house this year…looks yummmmmmmmmmmmy! GENIUS. Thanks for the splendid, splendid idea!